It’s more convenient than ever to recycle paint in Connecticut. Since the start of the Connecticut paint stewardship program in July 2013, PaintCare has set up 145 drop-off sites in Connecticut where the public can take unwanted, leftover paint for recycling. Most of these sites are at paint retailers (paint and hardware stores) that have volunteered to take back paint, and they are available to any household and business in Connecticut. These stores accept paint whenever they are open for business. A number of PaintCare drop-off sites are transfer stations – these locations only accept paint from their own households. A few restrictions apply: there are limits on how much paint can be dropped off per visit. Also, note that certain businesses — those that produce more than 220 pounds (about 20-30 gallons) of hazardous waste per month — can only drop off latex paint (they may not drop off oil-based paint). When you decide it’s time to recycle your paint, please call your site ahead of time to confirm their hours and to make sure they have space to accept the amount of paint you would like to recycle. If you have a large amount of unwanted paint, PaintCare offers a service that benefits both you and our volunteer drop-off sites — you don’t have to take your paint to a drop-off site a little at a time, and they don’t get overwhelmed with large volumes of paint. 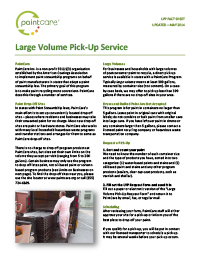 This free service is only available to households or businesses with at least 200 gallons of paint. To learn more, please review the following fact sheet. Then call PaintCare — or fill out and submit the form below — to request an appointment. 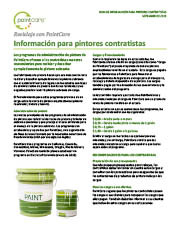 Information for painting contractors is available in English, Polish, Portuguese, and Spanish. Sell Registered Brands: Retailers must make sure they do not sell unregistered architectural paint brands. Retailers can verify the registration of manufacturers and brands using the following lists which are updated regularly. If you are a retailer and do not see a manufacturer or brand of paint sold in your store on these lists, please contact PaintCare at (855) 726-6809. General Poster for Retailers This poster is intended for use in stores in the paint department or near the cash registers to help explain the program to customers. Available in Polish, Portuguese, and Spanish. 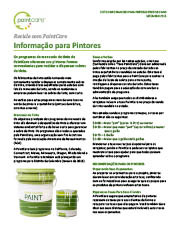 Retailer Fact Sheet: General Info for Paint Retailers Informs all paint retailers in Connecticut of their responsibilities under the paint stewardship program. Retailer Fact Sheet: Assessment Fees Answers to common questions from retailers about fees. Fact Sheet for Transfer Stations. 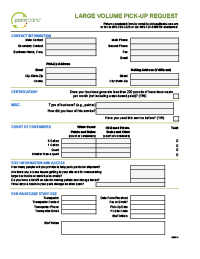 If you would like to partner with PaintCare, please fill out our Online Interest Form (or use the Word or PDF version and send by email, fax or regular mail). 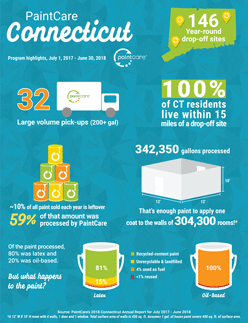 This one-page infographic (8.5″x11″) highlights the successes from the most recent reporting period for the Connecticut PaintCare Program (July 2017 to June 2018). Please consider downloading and printing a copy of the infographic and then posting it for staff and the public at your business or organization. PaintCare prepares an annual report for the 12 months ending June 30. The Connecticut program is established by Public Act 11-24 passed in 2011 and signed by Governor Malloy. At the request of PaintCare and the Connecticut Department of Energy and Environmental Protection, PSI evaluated performance of the first two years of the PaintCare program in Connecticut. This report summarizes PSI’s findings, based upon surveys conducted with five stakeholder groups. The oversight agency for the Connecticut program is the Connecticut Department of Energy and Environmental Protection (DEEP). The following letter is provided to demonstrate compliance with the requirement to conduct a biennial audit regarding the PaintCare Fees in Connecticut.